The Adam Molai Foundation, has brought in 10 medical doctors along with medical supplies for the cyclone Idai victims in Chimanimani district amongst a host of other donations to the cause, 263Chat has learnt. Adam Molai Foundation is a registered non-governmental organisation with the ministry of Public Service, Labour and Social Welfare . Of the 10 doctors deployed, five are general practitioners, four are specialist doctors and one is a neurologist. Speaking at the handover ceremony of goods worth $ 250 000 to the ministry of Public Service, Labour and Social Welfare, Adam Molai Foundation chairperson, Itai Watinaye said the donation is part of the foundation’s philanthropy initiatives. “We have mobilized medical doctors, general practitioners and specialists and we have also brought in medical supplies. We understand some have been injured and we believe some of the injured can be treated without specialist attention but there are other areas were we felt there is need for specialist attention, so have 10 doctors whom we have engaged,” said Watinaye. Other donated materials were in the form of 500 blankets, sugar, water, beans and beverages. Permanent Secretary in the Ministry of Public Service, Labor and Social Welfare, Dr Judith Kateera said Government is overwhelmed by the response by corporate sector and continues to appreciate similar gestures. 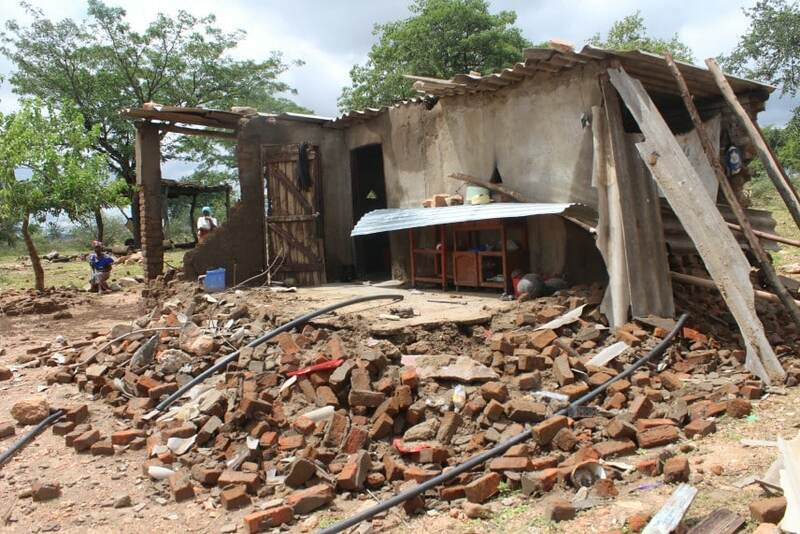 She however gave an update of the damage done in other parts of Masvingo province were about 3900 houses were destroyed. “We are appealing for donations in the form of building material, that is cement, bricks and even labour,” said Kateera. She however appealed for well-wishers who are donating various materials to register with the ministry before going to affected areas for purposes of transparency and accountability. There has been a massive trekking of well-wishers to the eastern border City of Mutare and down to the affected areas donating various food stuffs which has raised concerns over traceability of activities being carried out by some unidentified persons in the affected areas. It is however reported that much of the areas worst affected are not accessible owing to flooding hence food aid is getting to the intended beneficiaries through air drops from helicopters from the Zimbabwe Defense Forces.